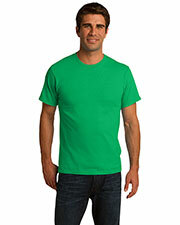 As more and more people become aware of environmental concerns, organic clothing has become more and more popular. In addition to sustainable farming, collection, and manufacturing methods being better for the environment, organic clothing materials are much better for your own health. Affordable organic clothing is made without pesticides, plastics, or any other toxic chemicals that could be absorbed by your skin. Gotapparel.com offers an array of organic clothing and accessories, including organic short sleeve shirts, organic polo shirts, organic long sleeve shirts, organic sweatshirts, organic women’s clothing, organic pants, organic caps, organic youth sizes, and organic bags, all at great low prices. More and more companies these days are seeing the value to themselves, their customers, and the environment by focusing on more environmental friendly manufacturing practices, which includes growing or buying organic cotton fabrics and organic blends. In addition to using high quality organic fabrics, many companies are using green energy sources, building their own water filtration systems, and actively seeking to reduce waste products. 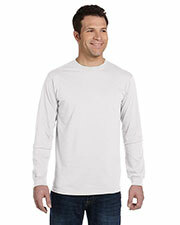 Many organic clothing options are just as comfortable, durable, and functional as their less eco-friendly counter parts. 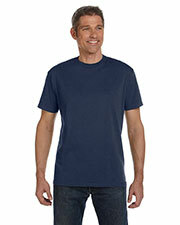 With so many benefits to wearing organic clothing, you can’t go wrong with our great selections. Many of our other apparel options are 100% cotton including t-shirts, long sleeve shirts, and polo shirts. I am an avid supporter of using organic and natural materials and I am happy that I found this 100% organic ring spun cotton tee. I am very pleased with my purchase and my experience wearing this shirt. 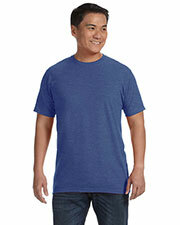 The softness of the fabric is amazing and the shirt is very comfortable to wear. It is a nice-looking shirt, but it is body hugging. You can simply order a larger size if you want a looser fit. 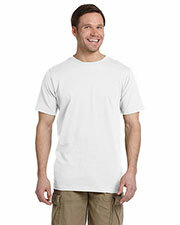 The shirt also shrinks, so consider it as well when choosing the size. I recommend this shirt to anyone who wants to try how an organic cotton tee feels like compared with the usual cotton shirts.